When it comes to culture, Galway might just be Ireland’s capital. 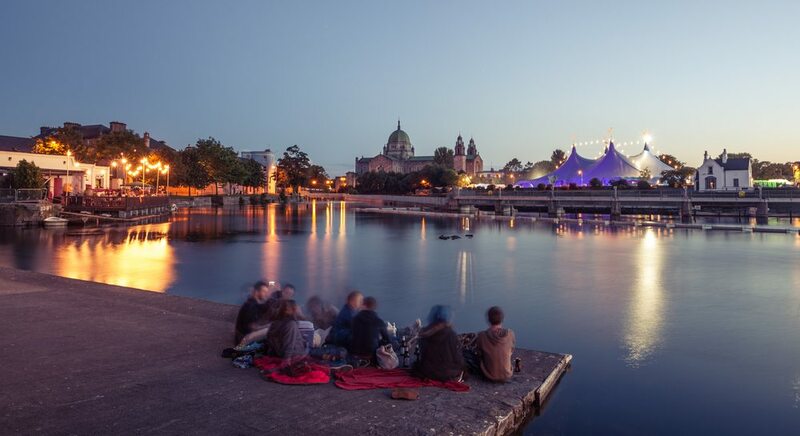 This vibrant and diverse western city’s pubs and streets are thronged with musicians and performers all year round, but the undoubted highlight of its cultural calendar is the Galway International Arts Festival, which takes place over two weeks every July. This world famous festival, now in its 40th year, is a jam-packed extravaganza of theatre, music, art, dance, and more than a few things that defy categorisation. We’ve picked out some of the highlights of this year’s edition. Each year, the festival attracts some of the world’s best musicians to perform at the Absolut Big Top. Leading the line-up this time around is legendary Beach Boy and all round musical genius, Brian Wilson, who’ll be performing his classic album Pet Sounds with a 15-piece band. Joining Wilson on the line-up will be veteran South African vocal group Ladysmith Black Mambazo, up and coming singer-songwriter Passenger and Irish superstar Gavin James. If you’re looking for something a little out of the ordinary, DJ Jenny Greene will be performing alongside the RTE Concert Orchestra as they reinterpret ‘90s dance classics as you’ve never heard them before. Irish playwright Enda Walsh is no stranger to the festival and he’ll be here again this year, presenting a unique hybrid of theatrical performance and art with his piece Bathroom. Elsewhere, contemporary circus company Casus Circus will present their show Driftwood, already a smash hit at the Edinburgh Arts Festival. This visually spectacular experience is a feast of innovative choreography, acrobatics and aerial stunts. Finally, for an authentically Irish experience, don’t miss Two Pints, legendary author Roddy Doyle’s hilarious new play. The best part? It takes place in various pubs around the city, so you can enjoy the play with a pint of your own! Specially commissioned for the festival, Irish artist John Gerrard’s Flag is a series of computer-simulated portraits of four of the world’s great rivers – the Amazon, Danube, Nile and Yangtze. The innovative Irish artist uses military and computer gaming technology to create his striking and unusual pieces, which often have an environmental theme. Inspired by the records of art and culture which accompanied the space probes Voyager 1 & 2 on their journeys beyond our solar system, group exhibition Golden Record sees a selection of Irish artists explore humanity’s need to record the world around us. While Dark Night of the Soul is a powerful installation by Brazilian artist Anne Marie Pacheco which delves into the colonial past of her native country and brings to life the darkness and tension of Brazil’s tumultuous history. This is just a selection of the cultural events which will be happening all over Galway from the 17th to the 30th of July 2017. To buy tickets or find out more about this year’s festival, visit the Galway International Arts Festival website. To find out more about the huge range of cultural, social and sporting activities available in Ireland visit our Enjoying Ireland page – there’s genuinely something for everyone.